Ladies and Gentlemen, I would like to present to you my Etsy Shop! That’s right. 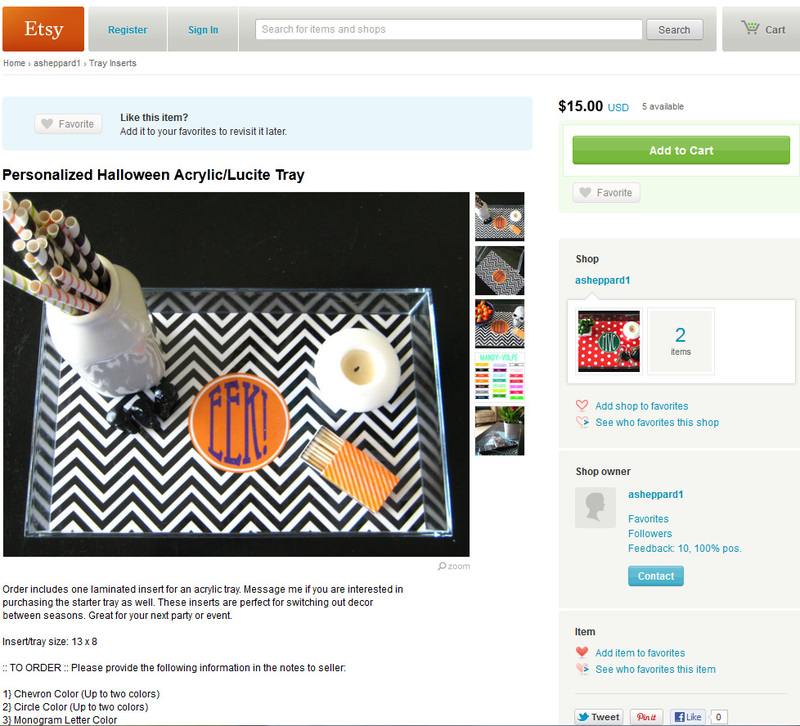 You can now order the tray inserts for your lucite trays straight from my shop! The inserts are completely customizable and they feature polka dots and chevron. 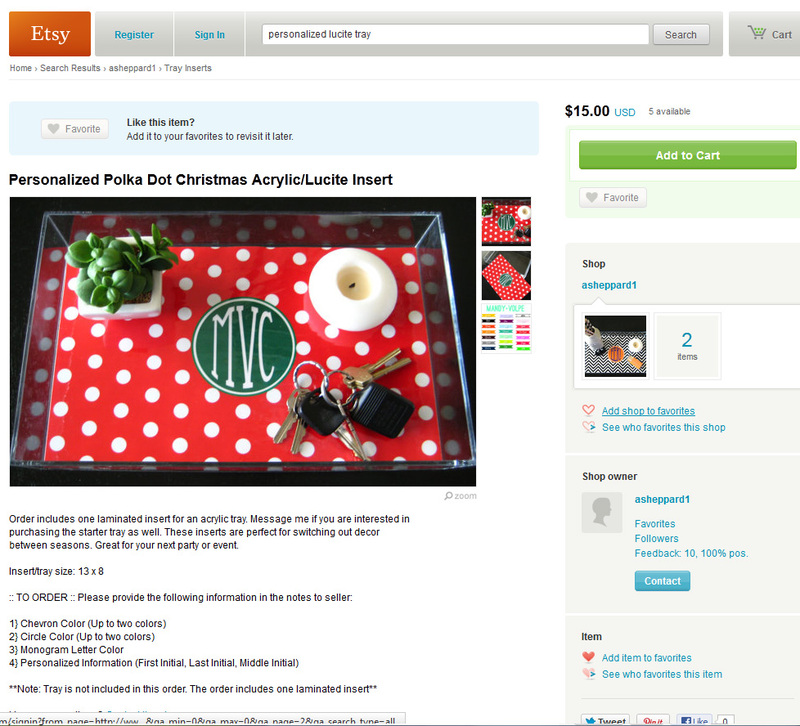 Hop on over to order yours today so that you can receive it in time to get maximum displaying during the holidays seasons. The color combinations are endless so mix and match to create the one that is perfect for you. All tray inserts work with a 13×8 tray that can be found online or at your local store. PS- To celebrate the shop opening we are offering a code for 20% off! Just use code “openingday”. 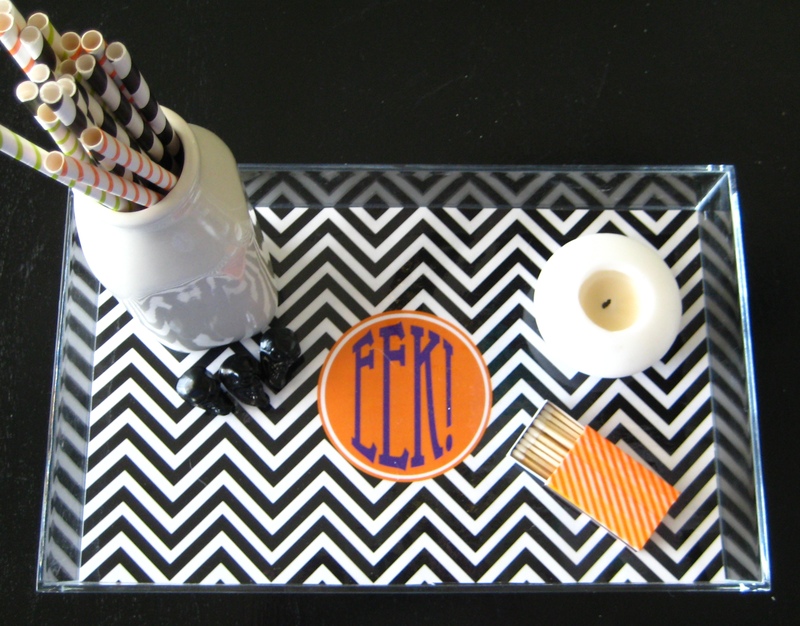 This entry was posted in DIY Projects and tagged diy, Etsy, lucite tray, monogrammed, purchase. Bookmark the permalink.